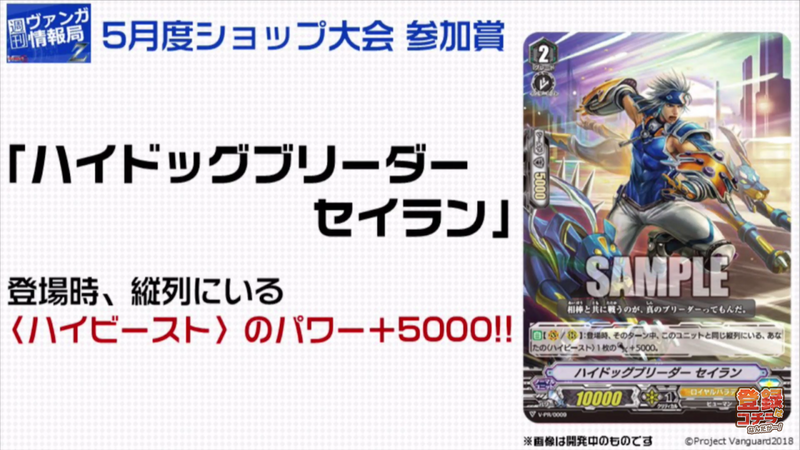 AUTO [Vanguard/Rearguard Circle] When placed, one of your <<High Beast>> in the same column as this unit gets Power +5000 until end of turn. Compatible with Pongal, Miru Biru, Margal, Flogal, and Wingal. 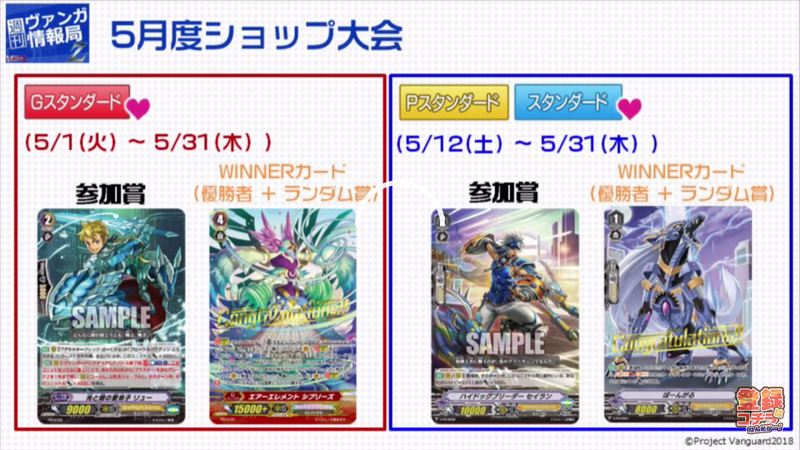 As previously announced, High Dog Breeder Seiran will be the participation prize from May 12th-31st for Standard and Premium Standard format tournaments, while an Origin Rare version of Pongal will be the winner's prize. 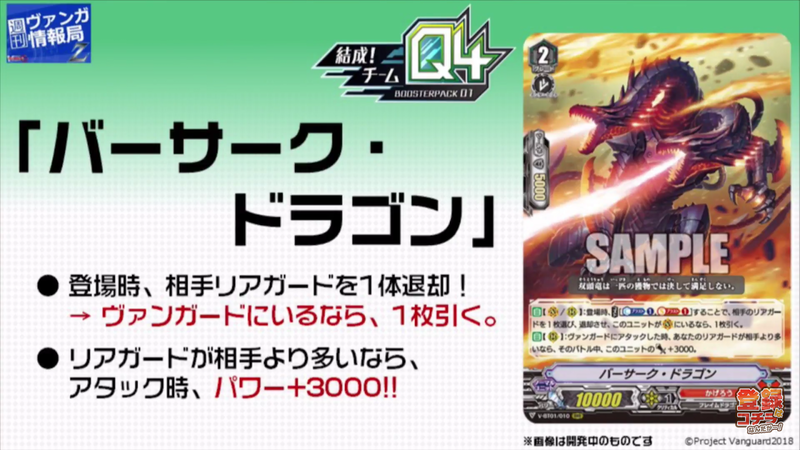 Grade 1 counterpart to Knight Squire, Allen. 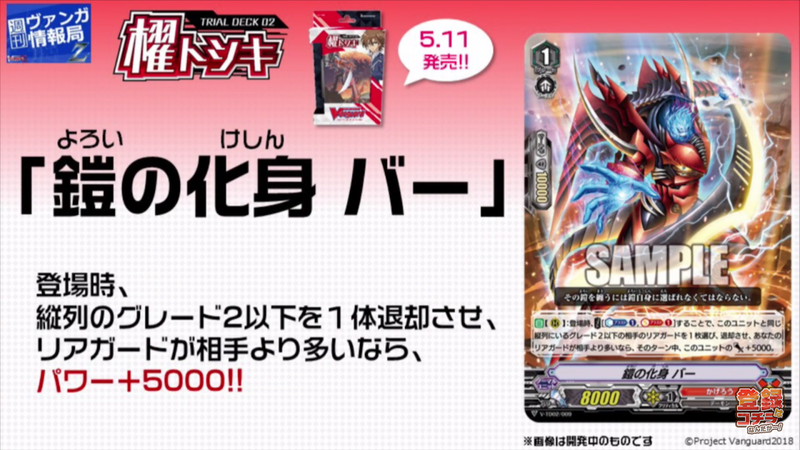 Berserk Dragon is Kagerо̄'s first Triple Rare of the new format, V-BT01/010 RRR.